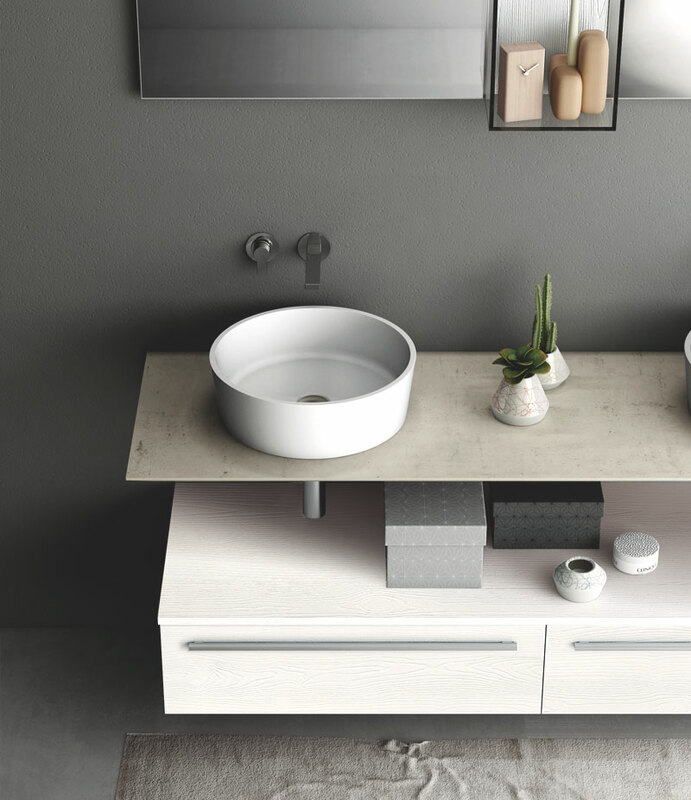 A furniture solution for the main bathroom or master en-suite employing units laid out in a symmetrical arrangement bisected by open shelving between the two mirrors. What makes the scheme so spacious and airy is that each unit has its own space enveloped in a light atmosphere, promoting a feeling of essentiality, further heightened by the details: the chrome traps exposed to view and wall-mounted tapware. 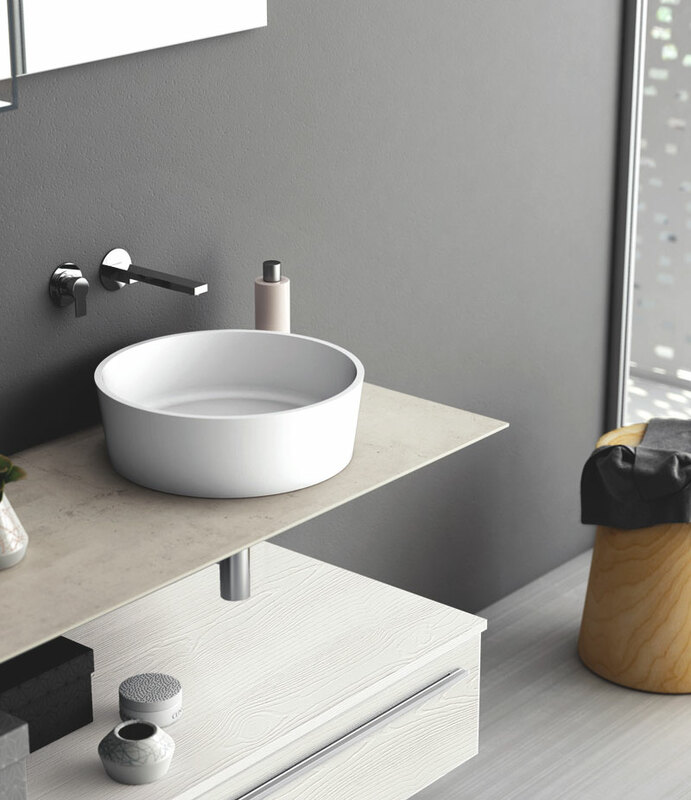 The countertop for the basins is made from a heavy-duty laminate that creates the illusion of being much slimmer than it actually is with the 3.8cm-thick panel chamfered at a 60° angle around the edge so that the full thickness is barely visible. The distance between the laminate countertop – in the Antibes version with grey Plexicor® edging – and oversize drawers leaves the top of the drawers free for extra shelf space. 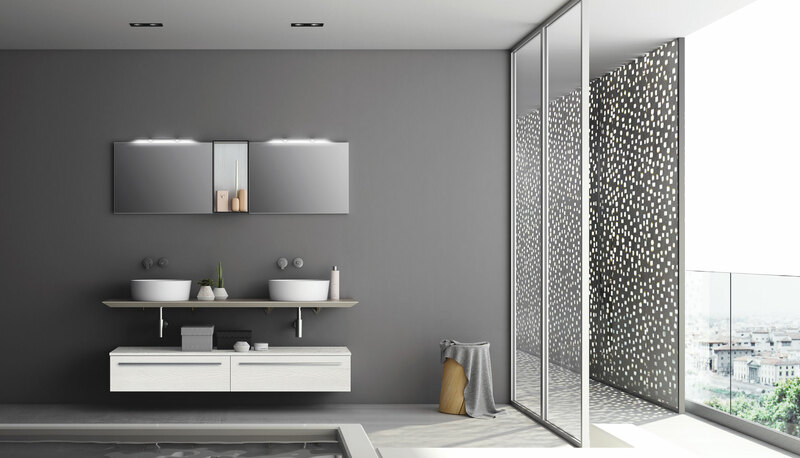 The open shelving unit between the two mirrors belongs to Puntotre’s Kube System collection. It is made entirely from clear glass, except for the back panel, which features the same white Pembroke laminate used as the main finish on the rest of the composition.